This spectacular pendent from the Roberto Coin Pois Moi collection will put a little 1920s style into your look. 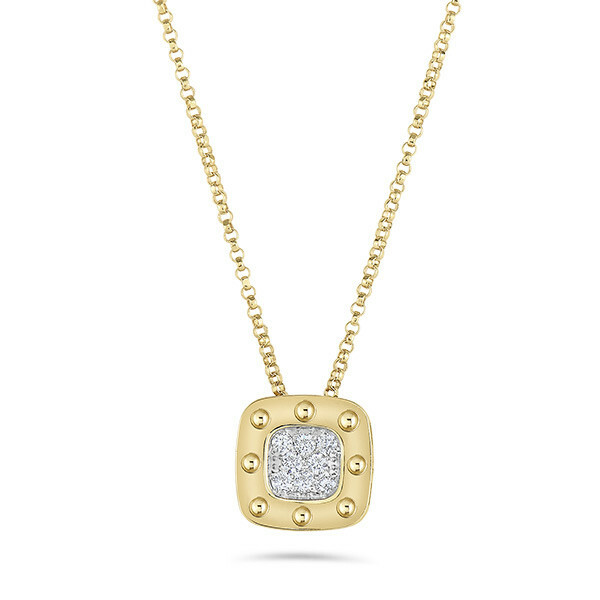 A square of pave diamonds is surrounded by a sleek 18kt yellow gold frame patterned with small divots. These indentations also spotlight the rim. The piece falls from an adjustable chain. 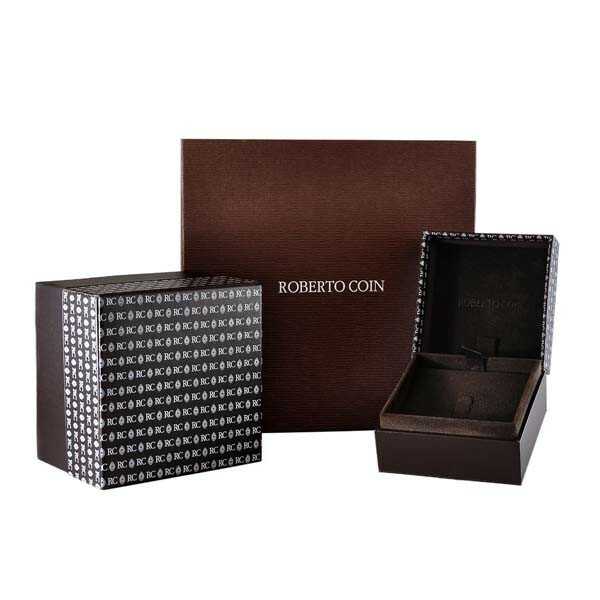 Pair this Roberto Coin pendent with other pieces in the Pois Moi collection for a truly striking ensemble.